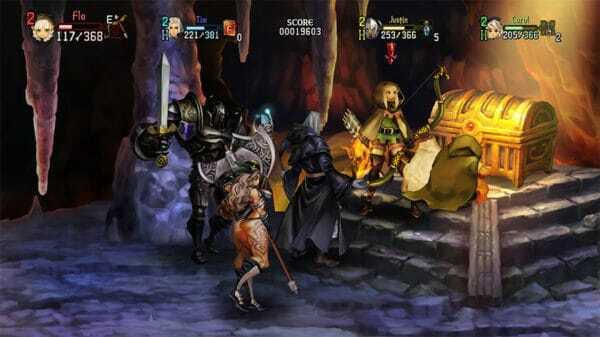 Before this remastered version released, I’d never played the original Dragon’s Crown on PlayStation 3. As we’ve seen recently, not all re-releases and remasters are of the same quality. Some of them, turn out great like another Vanillaware and Atlus game, Odin Sphere: Leifthrasir, some not so great like Marvel: Ultimate Alliance games. 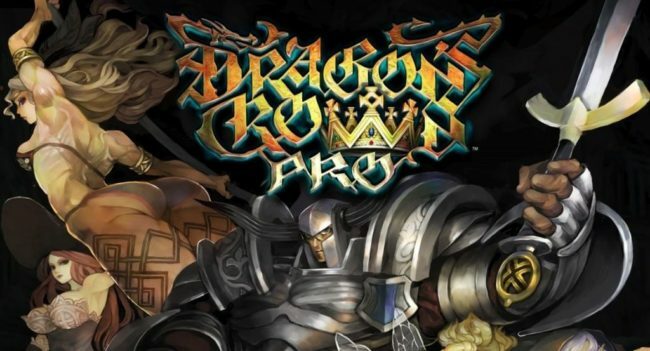 Dragon’s Crown Pro falls somewhere in the middle. 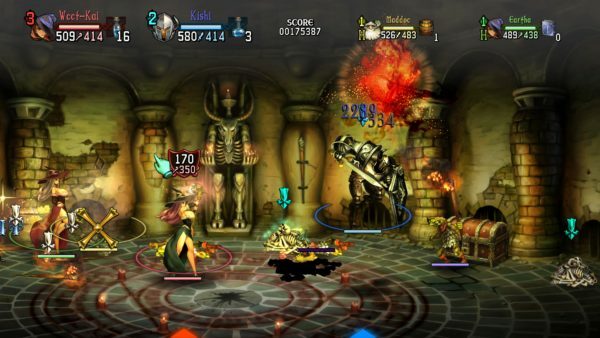 Basically, Dragon’s Crown is a modern version of a SEGA classic, Golden Axe. It’s a 2.5D sidescrolling beat’em up where you move left and right. While being able to also move up and down in an area as well. Except for a few levels, most of the game follows this pattern. The actual controls of the game are pretty simple for the most part. Although, they can get a tad cumbersome in spots. You can perform jumps, do basic attacks, and each character also has special attacks too. By pressing the Triangle button, you can pick-up objects on the map. while R1 lets you evade or teleport, depending on the character. The analog stick moves the character around, and the d-pad selects items in your inventory, such as health potions. The right analog stick sees you moving a cursor hand around the level. This allows you to select certain environmental triggers, pick up hidden loot in a level, or select chests for your thief buddy to open. Honestly though, having to select items with the d-pad (or analog stick, you can change it in the options) feels awkward. The even odder thing is that L2 and R2 are left unused. R2 is just the same as R1. Why not have item selection on these buttons? And use L1 as the item selector. Also, moving a cursor around the level feels strange. Apparently, this is how the PlayStation Vita version used its touch controls and they adapted it as best they could to PS3 and PS4. Still, Using the right analog stick to select glyphs mid-battle can be challenging, and a bit annoying too. 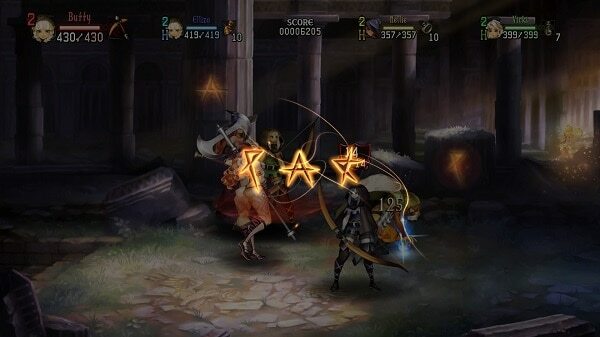 There are six characters available in Dragon’s Crown Pro. One character is actually very unique. While the other five plays very similar or almost identical to each other. Fighter: This is your basic melee character. He can use his ax for basic attacks. He can also do a “power smash” as a special attack, and he also guards with his shield. The power smash is a pretty powerful attack but it also causes the ax to get stuck in the ground for a few seconds, rendering you defenseless. So, be careful to not use this in the wrong spot. Dwarf: Plays very similar to the Fighter. Except, he rolls around a bit more and has a cool Blanka-style jump attack. He can also grab and throw enemies. He also does a “pump up,” which raises his defense. Amazon: The female equivalent of the Fighter. She has a normal block. She’s also generally quicker than the fighter due to wearing far less armor. Wizard: One of the two magical characters. Magic users can fire off a variety of spells. However, they need to recover MP to actually use spells. Also, your abilities can change depending on the type of staff you wield. Sorceress: The female magical character. She does everything the Wizard can do but also has one unique talent as well. She can summon food and weapons for herself or for the party you are in. Having her in a party can be a godsend in the right circumstances. Elf: The Elf is actually the character I used the most. She has a fairly weak normal attack but can combo off it very well. She fires arrows from her bow but has limited quiver space, so you have to collect more arrows from random drops to use her effectively. The Elf can also do a charged shot which pierces through enemies. As mentioned above, I played through the game primarily using the Elf. 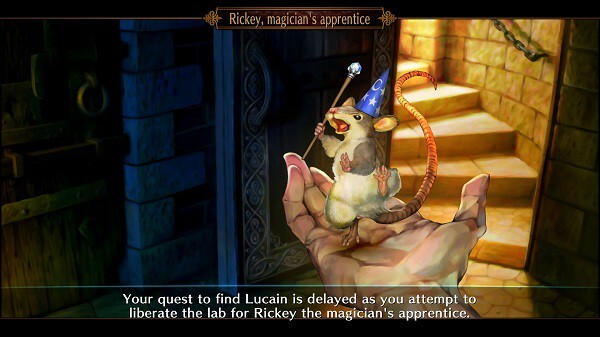 Dragon’s Crown is a pretty straight-forward brawler. You can also do aerial and slide attacks to help keep foes off-balance, or chain together damage, which is all pretty standard for the genre. There are a few more unique things in the game though. Most unique is the rune system. Occasionally, you’ll see various symbols in the levels. 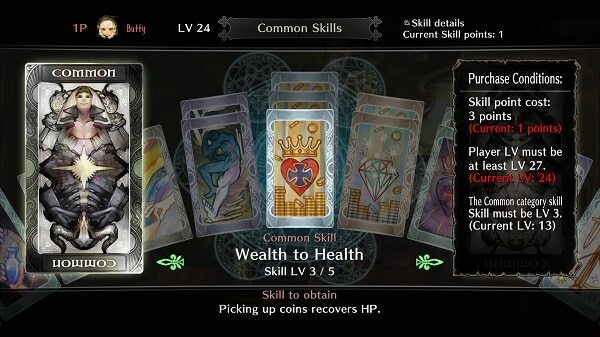 Selecting these, or the runes you might have in your inventory, in sequence creates a beneficial event. For example, doing damage to undead foes, restoring health, temporary invulnerability, and so on. There are a fair number of combinations out there, so it can lead to either nothing or complete randomness. There are guides out there that detail every combination available, but that takes some of the fun out of it. A very conscious Golden Axe allusion is the animals. Occasionally, you’ll run into large animal enemies that can be attacked. After subduing them, you can then ride them around and use them to attack your enemies. One of these animals is a small dragon that can breathe fire, which is a nice nod to Golden Axe. 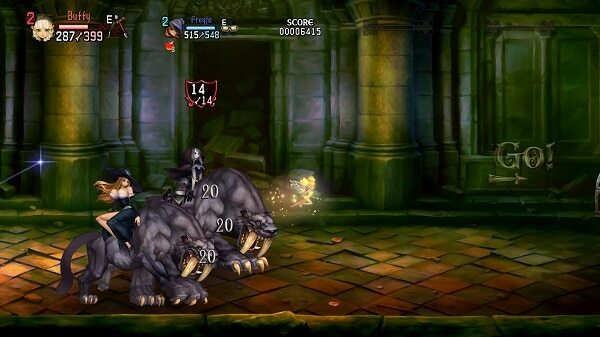 A central tenet of Dragon’s Crown is that you are going to replay levels a lot. You aren’t required to if you want to just beat the game one time and be done. However, levels can have branching paths or hidden rooms for you to go through. Also, if you want to truly complete the story, it requires a lot of replays to get to the “real” boss, which can get really annoying. Another reason to replay levels is to get better gear. Gear quality exists on an E to S quality system and is somewhat randomized when opening chests. You could get a sweet S-ranked item that your character can use or a pair of E-rank boots that your character can’t even wear. When picking up items, you can’t inspect or wear them mid-level. Once you complete a level, all your gear is added to a screen where you can appraise it or sell it. A general rule for me was that anything actually wearable over a B grade I would appraise (which costs money). While anything below a B grade, I would automatically sell, since I knew it was trash. Appraising lets you find out the actual abilities/stats of the item. As you play through levels, you’ll come across bone piles you can collect. Magic users also have a special ability allowing them to summon skeletons from these bone piles. When you collect a bone pile, you can go to the chapel in the town to bring the deceased NPC back to life. They will be resurrected and then hang out at the local tavern. Thus, allowing you to use them in a single-player game. Each NPC comes with their own weapons/inventory as well. So, you don’t have to worry about keeping extra items around or anything. Bone piles can also be discarded for the “chance” at an actual item. I found this system to be pretty low in value, all things considered. I discarded about 20 bones, as a test, and only got two items. And those two items I already had plenty of. My suggestion is simply to use the bones to resurrect NPC’s. You can get quite a menagerie of NPC’s and since you cannot heal the NPCs, you’ll need a steady supply of newer and higher-leveled characters to get through the harder levels. 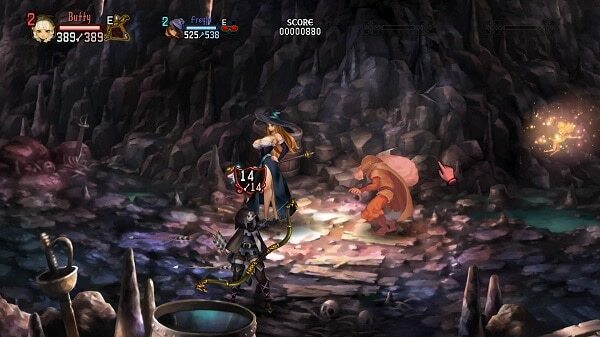 Dragon’s Crown Pro has online play with up to three other players, but there are a few catches. The first is that your character has to proceed through about eight or nine levels in singleplayer in order to actually access the online system. So, jumping in with my friend took much longer than expected. Especially because the game doesn’t actually tell you any of this and I had to look it up in an FAQ. Another oddity is that NPC players can join in with you. You can turn this system off, but you have to drill down in some pretty arcane option menus to actually find this. The fact that this isn’t an option on the network screen is bewildering. Lastly, some of the network code is rather strange. The actual network play is fine. I played half a dozen levels with a friend and the online code was stable, with no lag or jumping around. However, who the game decided was the “main” player was somewhat confusing. If I’m the host, I should be the one in charge of going through doors or transitioning through screens, but the game doesn’t see it that way. It’s basically a “whoever gets to the next screen is the winner.” So, when NPC characters would stupidly run to the door to go to the next screen, despite my buddy just summoning food/weapons for us to use, the game would load a new area, which is very annoying. Also, the “leader” character has the camera to track their movements. Occasionally, the camera could get confused by who it is tracking, instead of who it should be tracking. The biggest gameplay issue is that the game is ultimately rather shallow. Earlier, I compared this game to another game from the same development team, which came out six years before this one in Odin Sphere. To be fair, they do have different aims/design choices. 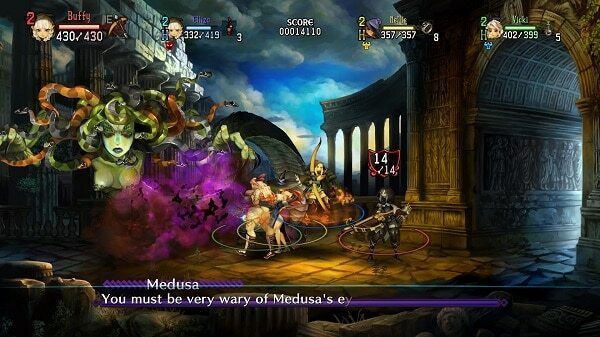 Dragon’s Crown is slightly more 3D, there’s network play, there are longer (non-circular) stages, etc. But man, the combat in Odin Sphere is so much more varied and impactful than in Dragon’s Crown. Technically, there is some variety in the combat. Especially, with the magical characters, but there’s just not enough of it. You can and do level up, but it’s mostly passive stuff like “increase damage by sliding” or “increase your life” or other attributes. You don’t really unlock new abilities or core upgrades. The gameplay generally remains the same the entire time. There’s also issues of personal taste that gave the game a bad reputation in its original release. Obviously, those have come up again with this version as well. This is in regards to some of the portraits/close-ups you see of characters. Completing side quests unlocks some gorgeous artistic scenes of levels or certain characters. It’s practically worth doing the side quests for these alone since the actual content of the quests won’t keep you fulfilled much at all. On the flip side, there’s Morgan, who runs the item shop and is one of the most pandering characters I’ve seen in quite some time. It’s actually kind of gross how overtly-sexualized she is compared to most of the other characters in the game. Many people bring up the way the Sorceress looks, or the Amazon, but they aren’t really sexualized in the way that Morgan is. The “Pro” added to the original name is pretty apt here. For as flagrant as some characters look, the game has some beautiful art. The visuals are given a healthy upgrade from their PS3 origins and everything looks solid. Also, there is a re-done soundtrack for the game, which is pretty good too. Overall Score: 6.0 out of 10. Earlier I called this game a modern version of Golden Axe. The thing is, I didn’t much like Golden Axe then and I don’t much like Dragon’s Crown Pro now. If you have some friends to play with, then the game has much more staying power and is a decent recommendation. Honestly, though, that is about the only condition to get enjoyment out of it. It’s not a bad game, just a very hollow one. If you try to press too hard against it, the shell breaks and you find a bland combat system. However, if you’re a solo game player, you’d be better served by other games in the genre. This game was reviewed using a digital code provided by the publisher.